It seems I have to remind people about this. 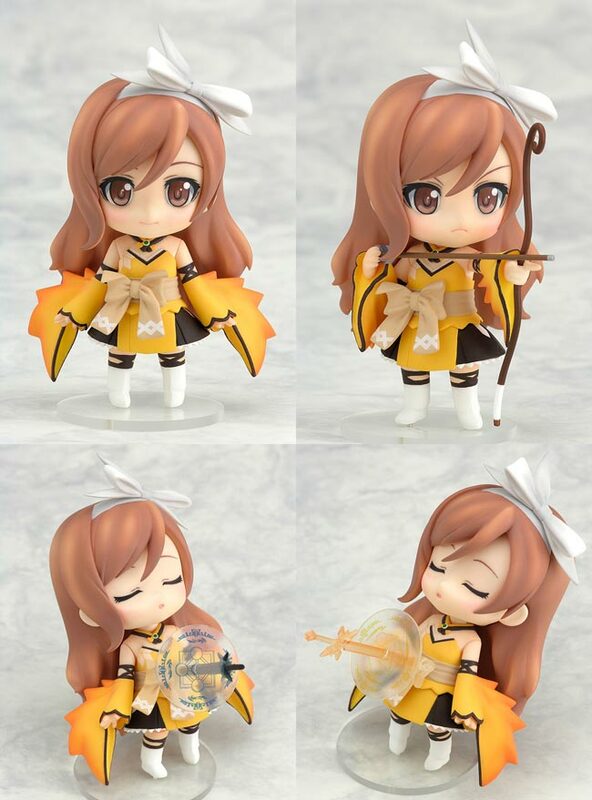 I am giving away a FREE Nendoroid Kureha figure with this current contest. The purpose of the contest is to promote my new member's blog and to help you all link up your anime sites better....and to give a lucky reader this adorable figure. Some of you have emailed me and got the rights to start blogging but for some odd reason...haven't made a single post! o_O You have to be in it to win it and being a co-author on this site is a step in the right direction but WON'T make you eligible to possibly win this cute figure. For those of you who never heard of this, a few months back I created a Member's Blog. Like some other anime sites, it allows you to blog right here about say the latest anime news, your figure collection, anime rumors, etc. The need for this portion of the site comes as my blog roll that links all my fellow anime sites has gotten too large and many of you want to link in to promote your site. My site isn't as big as say Gaia or Danny Choo's yet but up until now, I've been getting 5K unique views per day at an average alexa.com ranking of 150K which is perfect for helping people visit your site...and of course a number of emails for hooking up fellow anime bloggers. As of yesterday I even completed a deal with Otaku USA Magazine to post ads of this site and my anime store. (more on that in a future post) With 300K subscribers to that magazine, I very much expect and aim for a larger boost in traffic as to make any guest blogging here worth the effort. Email me so I can invite you to be a writer on the Member's Blog part of this site. From blogger.com create a blog post showing say, your otaku room, your anime figure collection, why you are into anime or something relating to anime, japan or the like. Just one decent blog post with at least one picture is fine and gets you entered in the contest. Remember to have your blogger profile have a link to your anime site/blog so you can gain good exposure. A link at the end of your blog post is fine....just no spamming and nothing non-related to anime, japan, etc -_- .